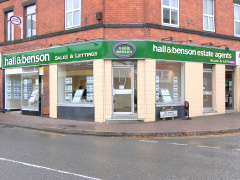 Our Branch in Heanor couldn’t be better placed as the outlet for your property sale in the area,lying as it does on the junction of Market Street & Ray Street, less than 100 yards from the Market Square, with extensive window displays and an enlarged interior sales space. Whilst all our branches supply unrivalled on-line coverage, we appreciate how much our customer’s value the local accessibility, guidance and knowledge that our team provide. Covering: Heanor, Smalley, Loscoe, Codnor & Codnor Park, Ripley, Marehay, Langley Mill, Eastwood, Newthorpe, Giltbrook, Brinsley, Underwood, Shipley & Ilkeston.